But that’s probably because we haven’t had any of our own celebrity encounters as of yet. In fact, contributors to our Flickr Pool seem to be having better luck than us. 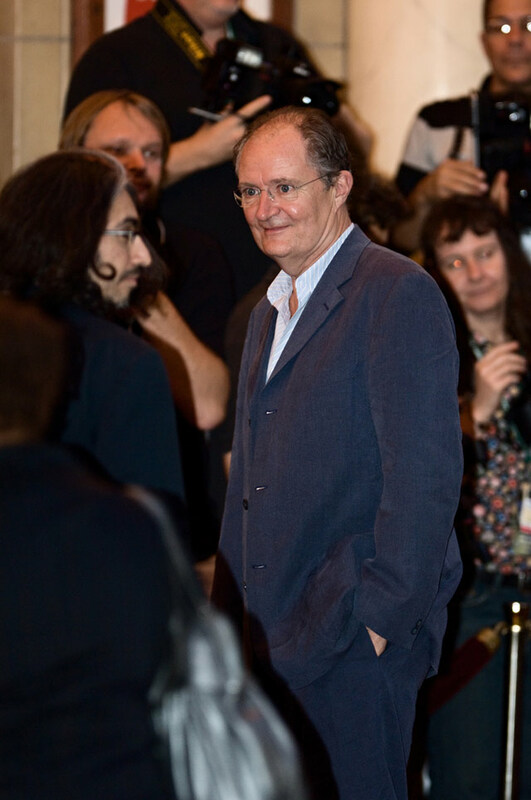 We’re featuring the best celeb photos from the lot in our ongoing coverage of TIFF 2007*. *Because TIFF isn’t all screenings and reviews, you know. 2. To experience a mental or emotional breakdown. 3. To behave like the crowd outside of the Elgin Theatre when Brangelina walked the TIFF ’07 red carpet. Look at Angelina’s legs. Someone tell that girl to eat a sandwich. In related news, Star Magazine recently hypothesized that Angie has hepatitis. While her publicist has neither confirmed nor denied this claim, it is evident that Ms. Jolie’s body weight just ain’t natural. Photos by David R. Hesketh. George Clooney. What’s the big deal? Ben Affleck speeds away from the Four Seasons Hotel. Don’t know who Kelly MacDonald is? Come on, yes you do. 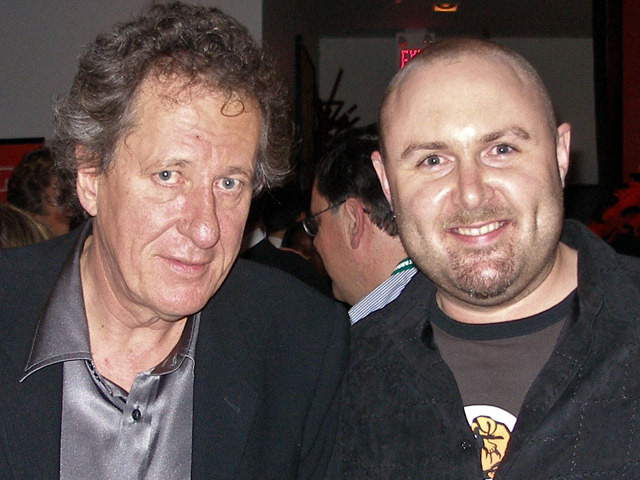 Photographer PDPhotography and Geoffrey Rush. Cate Blanchett, looking ethereal (despite the awful gown). Eric Bana, star of the last Incredible Hulk movie, but not the star of the current Incredible Hulk movie. Rough! Gael García Bernal, Mexico’s Brad Pitt. Helen Hunt, WHERE HAVE YOU BEEN? 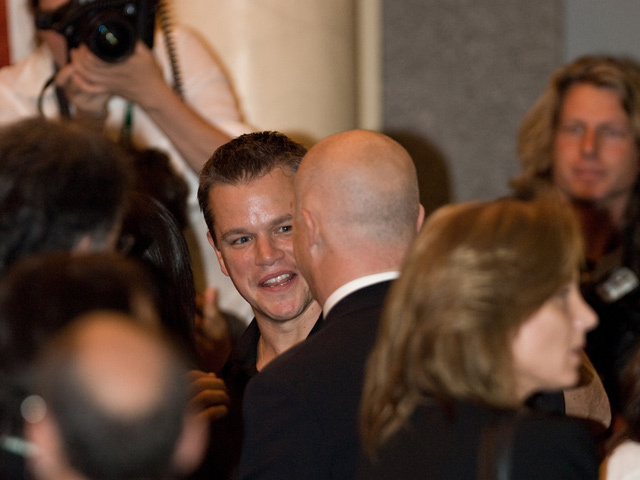 Matt Damon, about to be eaten by a large bald man. Photo by David R. Hesketh. If you’ve spotted any big names around town, add your photos to the Torontoist Flickr Pool and give us your story. CORRECTION: SEPTEMBER 10, 2009 A much-belated correction, but a deserved one nonetheless: we misidentified the young girl in this photo as Elle Fanning (“Dakota’s sister, presumably? It seems that they’re breeding unnaturally talented and perky young blonde actresses nowadays.”); the photographer had captioned it as being of her. A commenter, however, noticed that the photo is in fact of Brooklyn Proux.